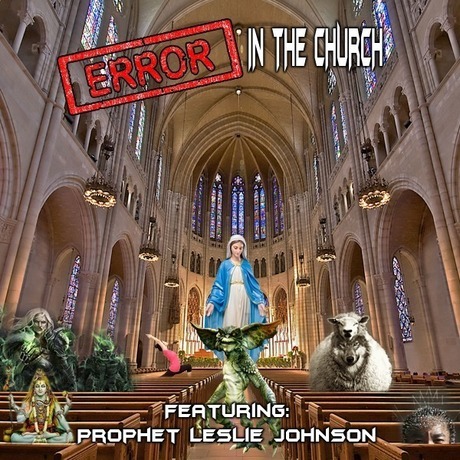 MESSIAH'S BRANCH Ministries and International Radio: Prophecy Hour - End Time Radio By Messiah's Branch - ERROR IN THE CHURCH! Prophecy Hour - End Time Radio By Messiah's Branch - ERROR IN THE CHURCH! The Churches we are talking about are politically or socially correct, they have a spirit of compromise with in them allowing homosexuality, adultery, and all sorts of sexual sin in. they Compromise calling Allah the same God as the God of Abraham Isaac and Jacob, the Ruler of Universe. What you see is basically a Lawless spirit that calls good evil and evil good..
Tonight we have on with us Leslie Johnson, She is the Husband of Stan Johnson and co Founder of the Prophecy Club. The Prophecy Club besides being an End-Time church is a five fold church and She has been called to the office of Prophet. She has pinpoint accuracy in her dreams, visions and prophetic words. She has given over 5,000 personal prophecies and is a gifted speaker all across America. It is the Error in The church she spoke about tonight! If you want to order the DVD Error in the Church set Leslie is speaking about tonight simply call the Prophecy Club at 785 266-1112 785 266-1112 and say, "MESSIAH'S BRANCH" and all the funds received above shipping and handling They will donate to MESSIAH'S BRANCH. Or you can call and give your credit card and agree to four monthly gifts of $50 and we will send you three DVD's now and the other 8 after the second $50 gift then each thirty days charge the other two $50 gifts totaling 4 monthly $50 gifts.